Cambridge Audio CXA80 80W Integrated Amplifier. The one below this is consistently rated by What Hi-Fi?’s ‘Best Stereo Amplifier’ two years running is hugely entertaining. 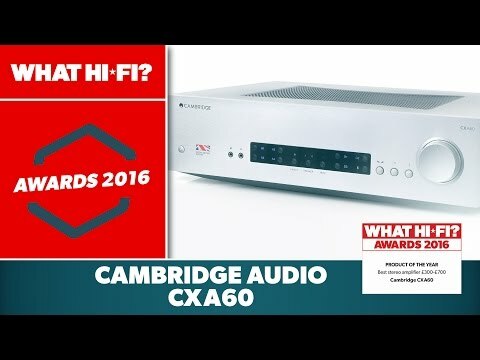 Building on the award winning foundation of the CXA60, the Cambridge Audio CXA80 adds an extra 20watts of power giving 80watts of pure precision which creates a strikingly vivid soundstage. The addition of balanced inputs and USB connectivity for your computer based music library offers the solution for every source.